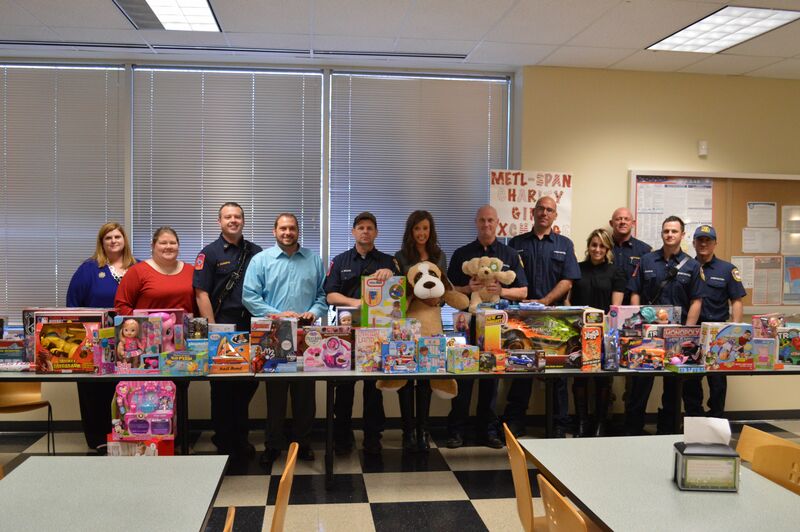 LEWISVILLE, Texas (December 11, 2015) – The employees at Metl-Span’s corporate headquarters and Lewisville manufacturing plant have again stepped up to generously support a program organized to provide Christmas gifts for underprivileged children in the area. The Lewisville Fire Department works directly with the school district to distribute the toys to area families. This is the sixth year Metl-Span has been a supporter of this holiday project. Metl-Span was the largest contributor to this year’s program, as 57 employees contributed more than 80 gifts. Employees also donated cash which goes directly to the Children’s Advocacy Center, a program dedicated to providing justice and healing for abused children.